Religion and politics has shaped the Takoma Park community. From the early 1900's to 1990, Takoma Park was the world headquarters of the Seventh-Day Adventist Church. Two of the church's institutions remain today, The Washington Adventist Hospital, and Columbia Union College. The coming of metro service to Takoma Park has made it a perfect "bedroom community" for young professionals. It is a 15 minute commute to the middle of Downtown D.C. by Metro from the Takoma Station on the Red Line. 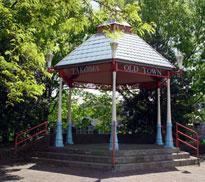 Takoma Park is a friendly "laid back", independent, small town with liberal politics. The residents are politically active and have put in place a number of progressive measures such as the declaration of a nuclear-free zone and legal recognition of non-marital partnerships. Old Town Takoma Main Street offers an eclectic, funky mix of small, locally owned specialty shops and small restaurants, cafes and a very popular FOOD COOP. From the end of April to mid December there is a farmers market every Sunday in the center of town. To celebrate July 4th, the town puts on its own parade and its own fireworks display. Wonderful description (and photos) of a wonderful neighborhood. I knew the area was rich in history, but I didn't know about the origins of the name. Great Localism post ! Good news for this blog post - http://actvra.in/4hVj !!! Excellent splash on the local slant, what happens there around the sticks and bricks we list and sell. Local is the stuff to mine, blog about. 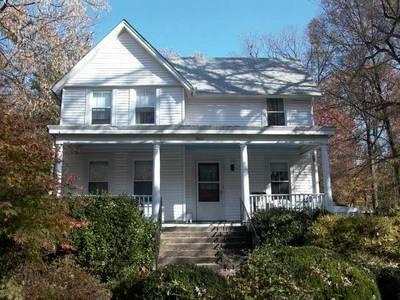 Hello this is great website please add me to your current emails about Silver Spring, Maryland Homes. Thank you I will be looking out for more of this impressive information.